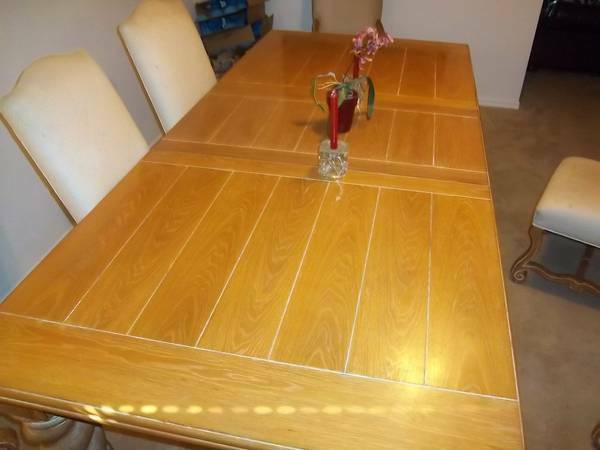 So, I mentioned WAAAYYY back that I had gotten a great deal on a table on Craigslist. 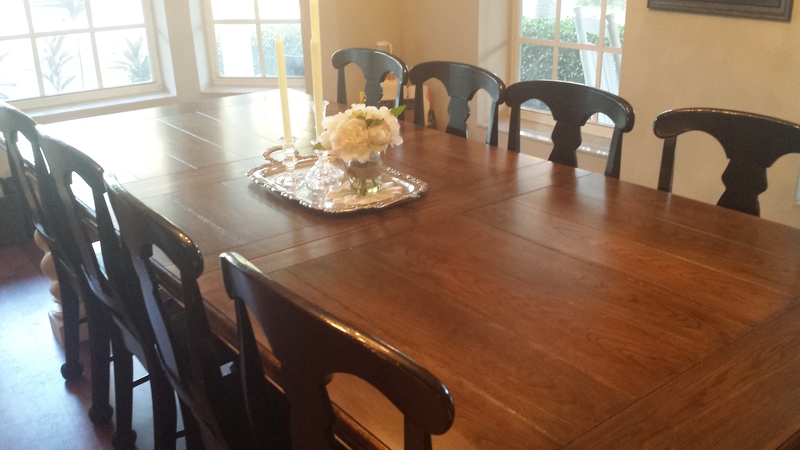 We found this solid oak, Lexington-made table with 6 chairs: Would you look at the legs on that thing?? I saw potential! Never mind the finish. That was gonna go. 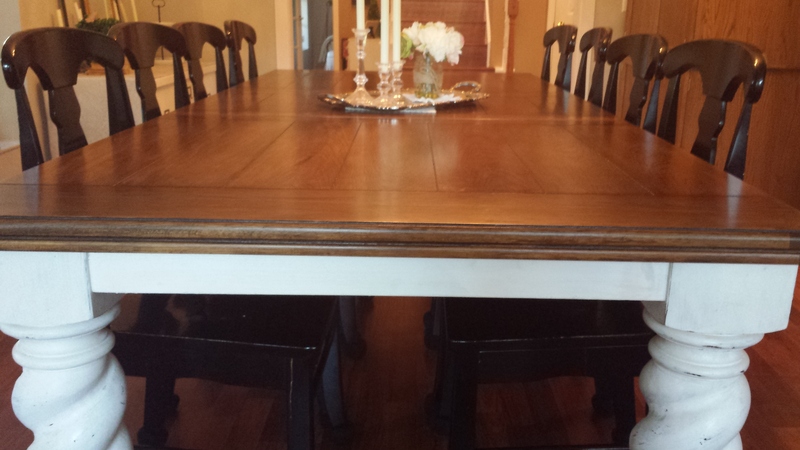 We hauled this VERY heavy table home and I took on the job of refinishing it. Good thing we hadn’t started home schooling back up for the year; it took me about 4 days, working off and on, to get this thing how I wanted it. 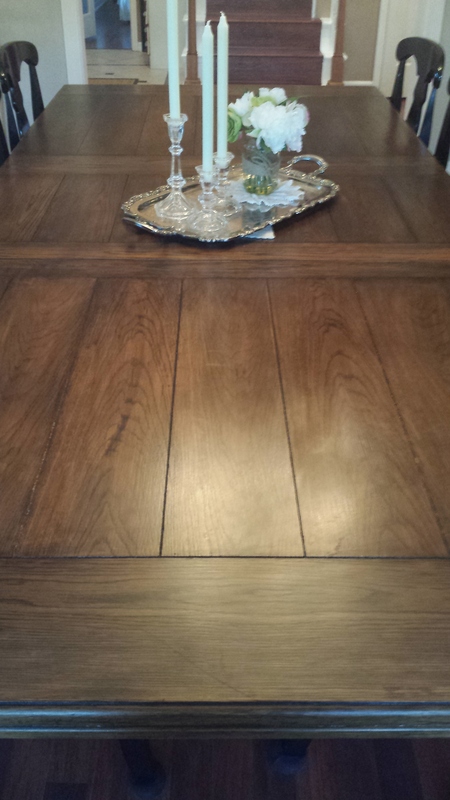 But this is how it looks now in our dining room (view from coming down the stairs): I love the table top stained a dark walnut! It’s so rich and warm. 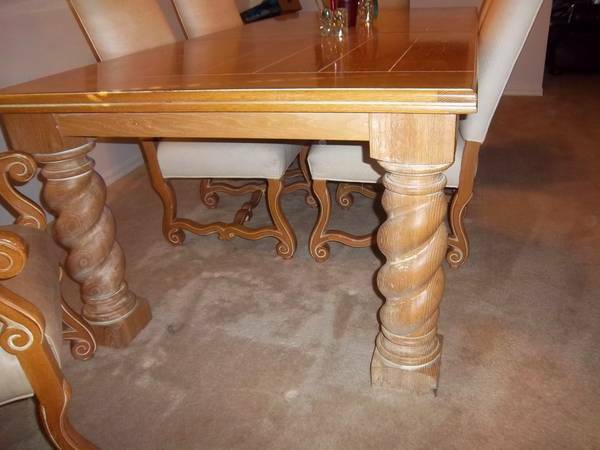 Here’s a close up of the legs: And another, ’cause they’re so purdy: I like the look of worn, vintage furniture. 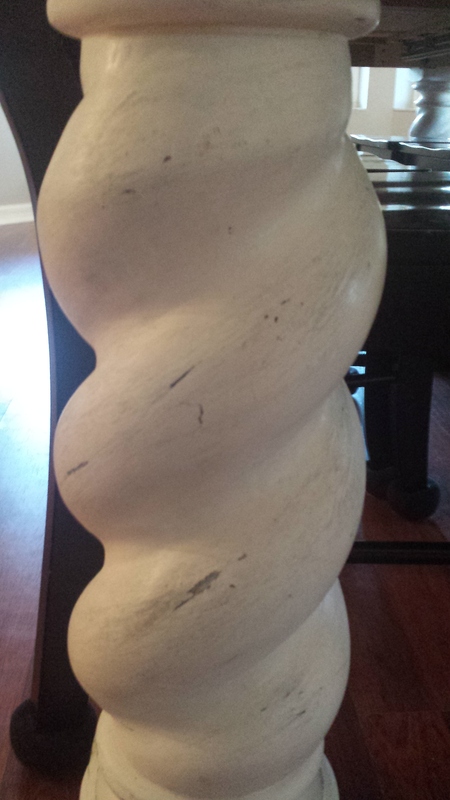 We wear furniture out anyway, so it’s all the better for it to start out that way from its early days in our home! It has not one, but 2 leaves to add, so it will seat up to 12! 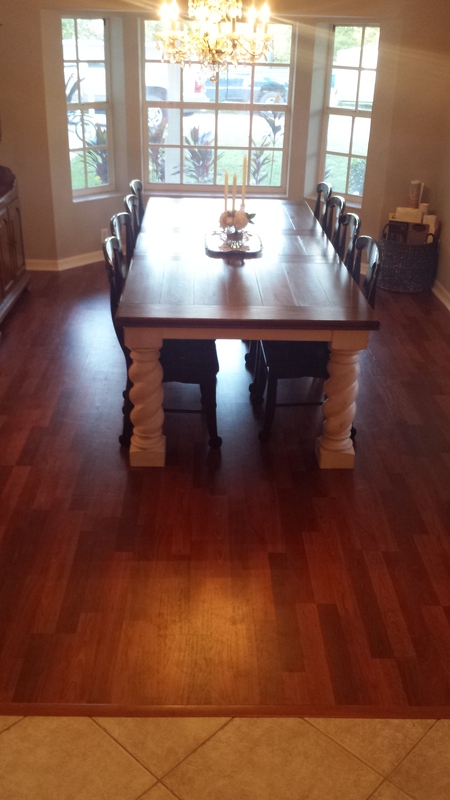 I was able to pair it with black chairs we already have. I’ve decided to use the two arm chairs that came with the table for the ends of the table, but will not be keeping the 4 side chairs. (Not pictured; will post about them separately.) 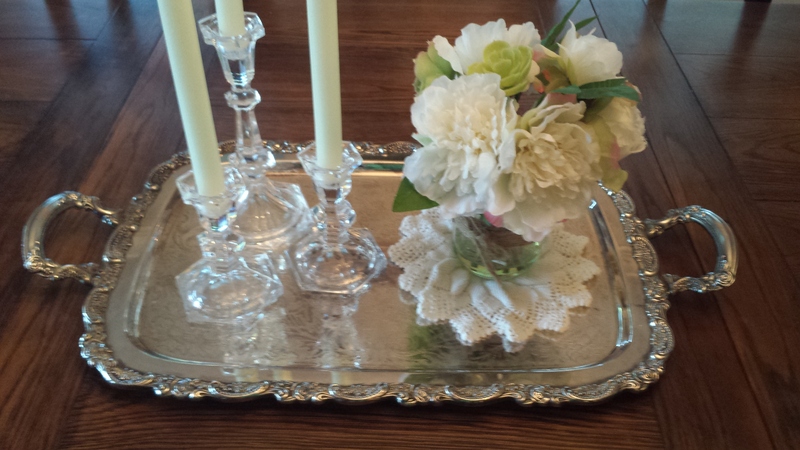 I snagged this beautiful silver tray at a Habitat for Humanity ReStore; I love the way it adds a touch of vintage charm to the table-top: So, what do you think? Do you like it how it turned out? 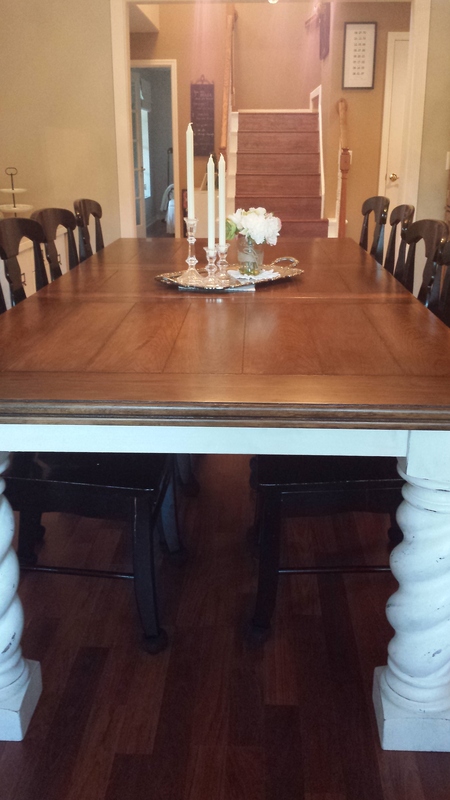 Let me know if you’d like a tutorial of how I refinished the table. 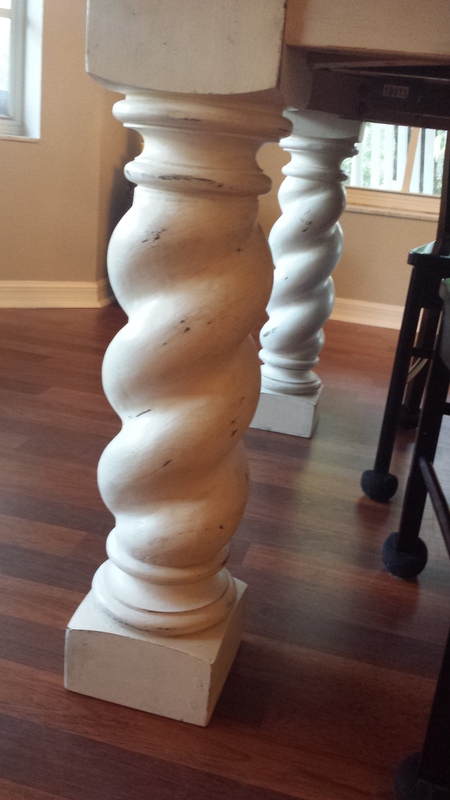 I have some step-by-step photos that I could share, along with the products and method I used for stripping, staining, and painting it. But I don’t want to bore you if it’s not your cup of tea. Speaking of tea, a cup of chai sounds nice right about now. I think I’ll close . . . — Beth 🙂 P.S. Photography isn’t my thing. Have you noticed?? Also, I’m using my smart phone so the angles and clarity aren’t superb. But it’s efficient! I apologize.